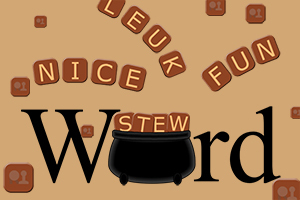 WordStew is a fun word game that you can play with your friends. It is your goal to find as many words as you can and get the most points. Each new turn there generated 16 random letters for the players. Each player has 2 minutes the time to find as much words out of those 16 letters as he can. You can use the letters in any order as you want and you do not have link them with a line or anything. Just let your brain handle it all and find as many words as you can! You get bonus points if you have found the longest word in a turn and if you use the letters 'q', 'x' or 'y'. 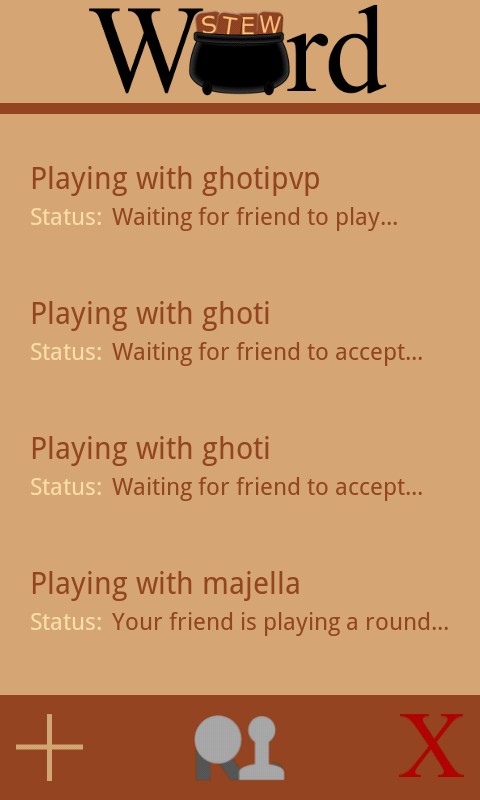 This is a player vs player game so you can only play it with friends. You can not play it against the computer.